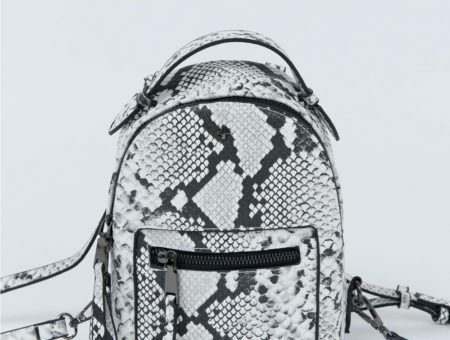 Time for part three of our annual back to school shopping guide! 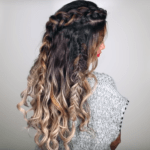 Over the last few weeks we’ve told you all about the season’s most popular fashion trends, the best Fall 2012 color trends, and this week we’ll be talking fall shoe trends. 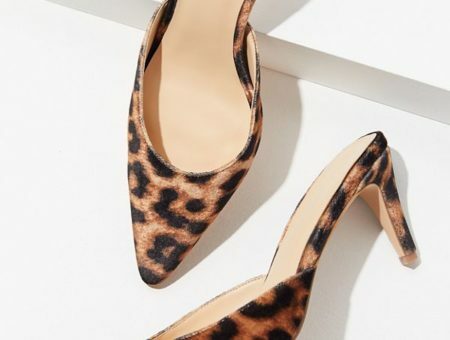 We’re firm believers that a girl can never have too many pairs of shoes in her closet, and whether you like flats or pumps, have a girly aesthetic or prefer some edge, this season’s shoe trends offer something for everyone. There’s no reason not to add a new pair (or two!) to your collection. Boots always reign supreme in fall and winter, but this season, it’s all about chunky ankle boots. With their extra thick and sturdy heels, these boots offer a comfortable boost of height, which makes them perfect for everyday wear. 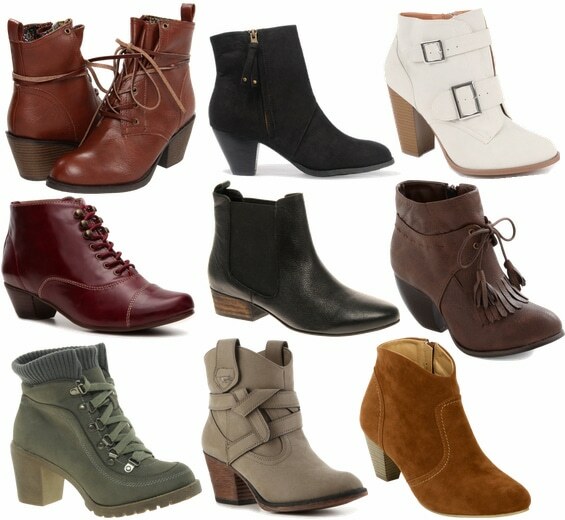 Plus, the fact that they’re ankle booties means that they’ll pair well with everything from dresses to skinny jeans. If you’re looking for a fresh take on your basic ballet flat, smoking slippers are for you. These ultra-comfortable loafers are just as versatile as flats, but boast a distinct menswear-inspired vibe. Smoking slippers are available in pretty much every color, pattern and style imaginable, but check out a few of our favorite pairs below. Oxfords have been popular for a few seasons now, but this season they’ve received a modern and colorful update. 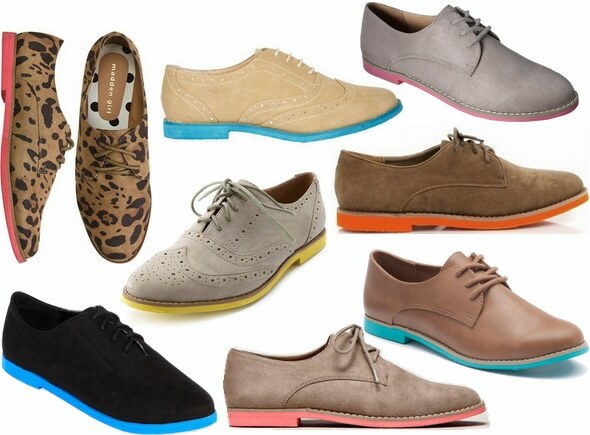 Neon-sole oxfords are all the rage and just like the name suggests, these shoes have a brightly-colored bottom portion. This style not only adds an unexpected pop of color, but helps to modernize the traditionally masculine shoe. You may remember wearing Mary Janes in elementary school, but this childhood staple has gotten a college-friendly upgrade. Mary Jane pumps are super-trendy this fall and every kind of platform and high-heel has been given the Mary Jane treatment. Check out a few of our fall-appropriate favorites below. Glamour girls, get excited: shoes adorned with glitter are going to be huge this season. From subtle, slightly matte styles to ultra-shimmery, blinged out versions, these trendy flats, heels and boots are sure to add some sparkle to your wardrobe. Here are a few of our favorite styles for autumn. If you like a little edge with your footwear, look no further than this season’s popular studded shoes. These rock ‘n’ roll embellishments can be found on everything from sky-high pumps to demure flats and whether you want a pair of shoes with just a hint of metal or something covered in studs, you’re bound to find your perfect pair below. 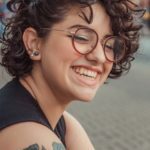 What do you think of these trends? Which one is your favorite? Any trends you aren’t feeling? 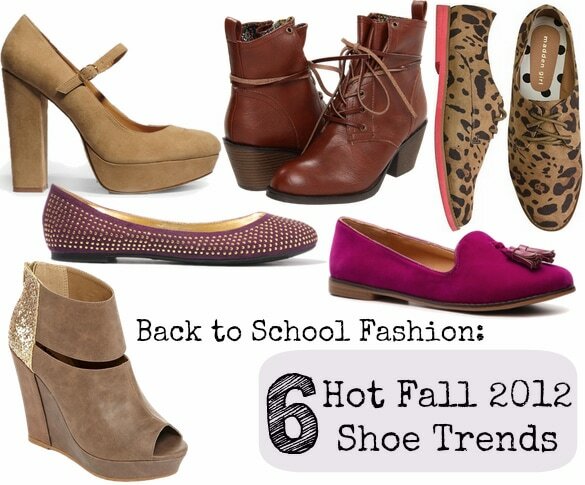 Will you be wearing any of these shoes on campus this fall? As always, remember to leave a comment below and tell us what you think! Previous Would You Wear… Smoking Slippers? Next Would You Wear… a Statement Brooch?